6 bedroom tables for work, study, and play! 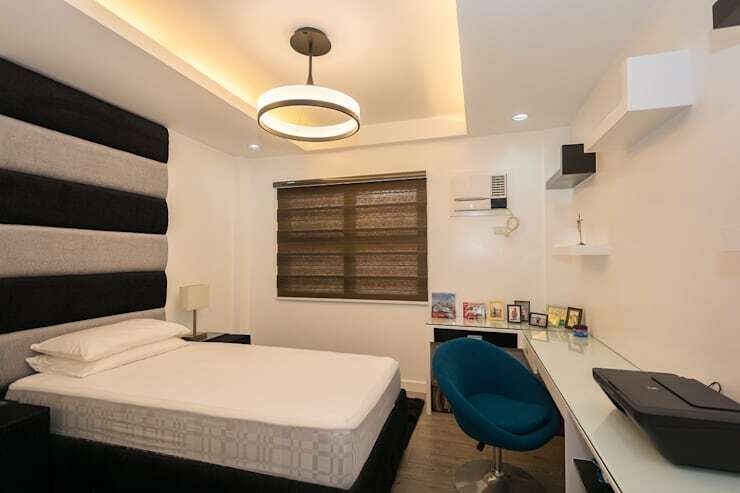 While our beds provide the best comfort for sleep and relaxation, it's certainly not the best option where you can study your notes or work on your laptop. 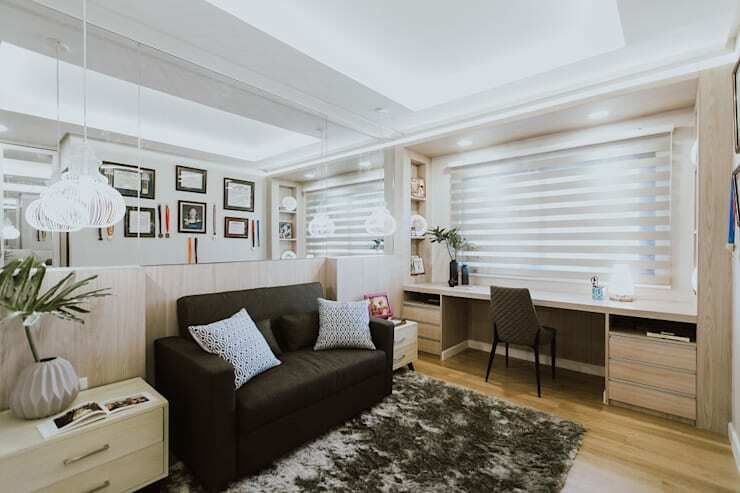 It's pretty much of the essence that a specific area of the bedroom where you can work, study, and even play is a necessity for any type of homeowner. 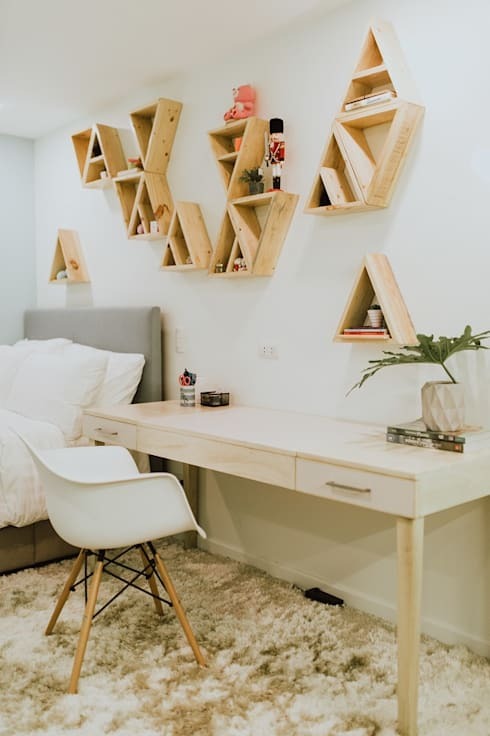 Design your own bedroom table now with these 6 ideas! It takes a lot of expressive and loud colors to inspire anyone to work and study well in their bedroom, so why not design your room with bold pops of colors? Take a contemporary approach to your bedroom table by incorporating colors like Red and Yellow. These colors create an impact to the human mind that stimulates certain emotions and feelings. When you're working on a tough project, Red gives you the energy and Yellow provides positivity! Home-based jobs could be stressful too, so a little comfort here and there is very helpful. Decorate your work/study table with a cozy rug or carpet. It will surely de-stress your mind and body as the soft texture of the rug tickles your feet with relaxation! Work and study are two important aspects of our lives that surely needs a lot of organization involved. That's why a clean and de-cluttered area is clearly important. The best way to organize your stuff? -- storage solutions! This modern design by Living Innovations Design Unlimited, Inc. features a work table with abundant drawers used for storage optimization. Plus, the table has a lot of leg area, so if you need more space, pick up a storage bin and place it beneath table -- piece of cake! Sometimes, we get so pre-occupied and caught up with our work and end up losing motivation because of all the stress. It's always a helping hand to keep photographs and memorabilia close to your study table to draw inspiration from them! Pictured above, the bedroom table is designed in an L-shape form where the shorter leg is piled up with beautiful photos in colorful frames. Now, if you feel like giving up with deadlines, just look to your left for some motivation! Working tables don't have to be extra spacious. 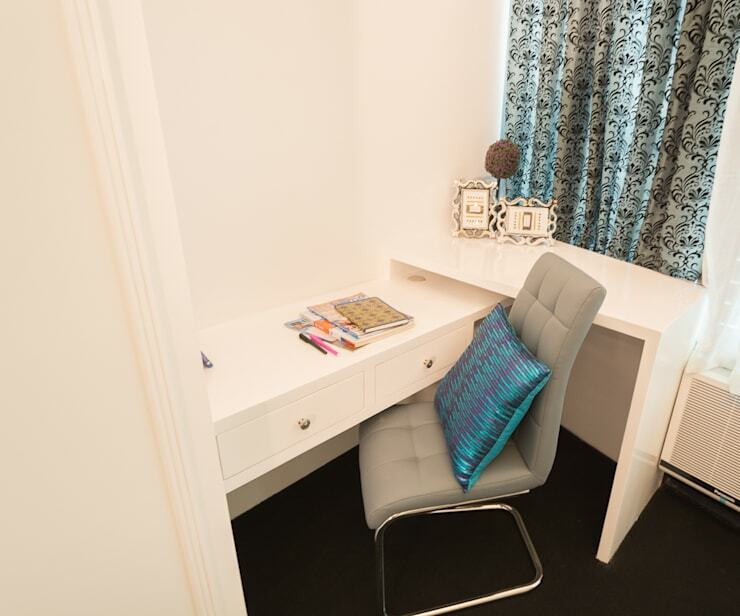 Even a small corner of the room is a potential area for work and study! This cute design explains it all. 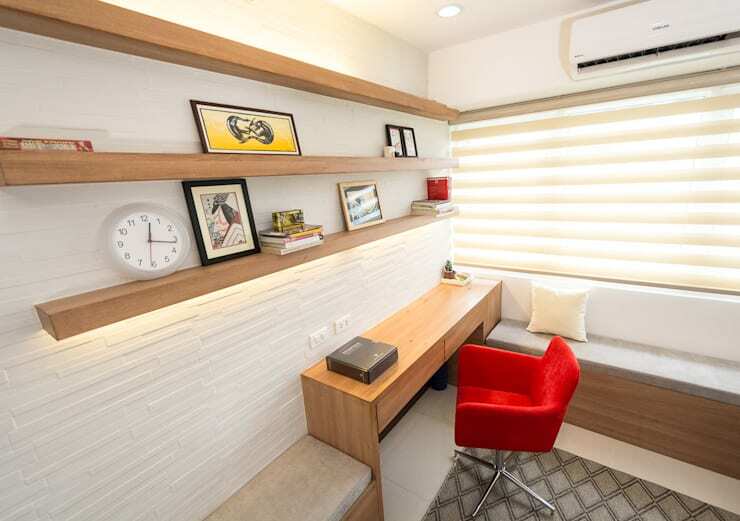 You'll most likely concentrate more on your homeworks when the space is compact and personal. Throw in a comfy pillow for that added ease while working. Bet you were wondering how bedroom tables could b great for play time too, here's how! A colorful and child-friendly play table will look best in your kid's bedroom. Be creative with your ideas and get playful with the numerous design options. 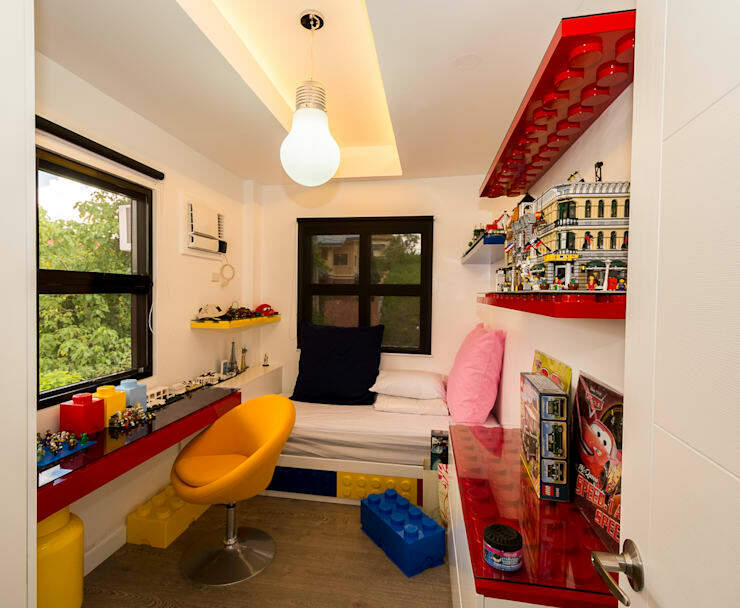 Check out this child's bedroom above -- it's inspired with a Lego theme! Fun and very functional, indeed. Speaking of children, do you have a little one yourself? If you've got a precious princess, you definitely need to check out these 5 ideas for a girl's bedroom. Have her pick her favorite design!